he Russell Hobbs Steam Power Generator lets you effortlessly whizz through even the biggest laundry piles helping you to no longer feel like the pile is a never ending tower. Whether you’re ironing out the crumples in your little ones school uniform or you’re smoothing out the deep set wrinkles in your denim jeans, this steam generator with its powerful puffs of steam makes sure you can easily glide over every material with ease. 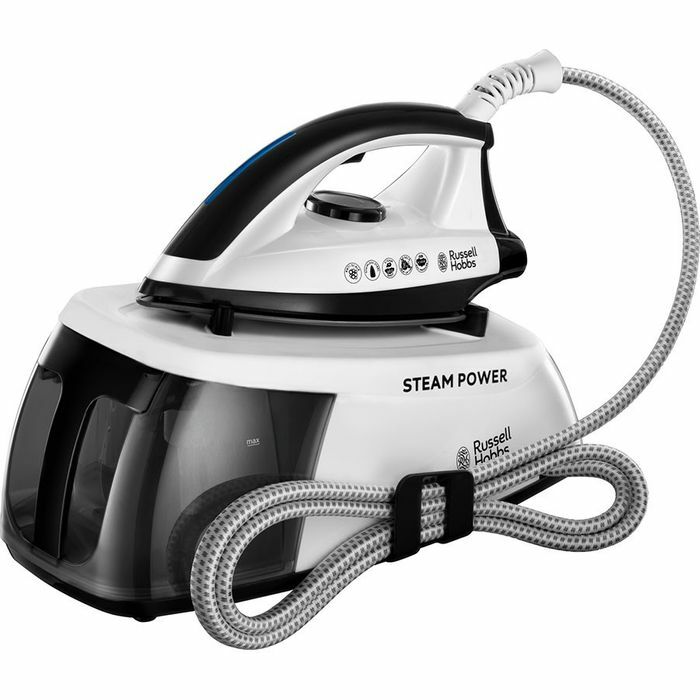 So if you’re looking for an appliance that leaves you going full steam ahead, then you’ll love the Steam Power Steam Generator that leaves you racing through your ironing. Stainless steel, non-stick soleplate – super smooth and non-stick for a beautiful crease free finish every time. Anti-calc cartridge – to prevent calcium build up. 60 second heat-up time – so you don’t have to wait too long to crack on with your chores!